A granite obelisk and a small park just off West 7th Street in Columbia, TN, on the side of Mt. Parnassus, the highest point in Maury County, were dedicated in 1926 to honor the memory of Tennessee's most famous harness racer, Edward "Pop" Geers. 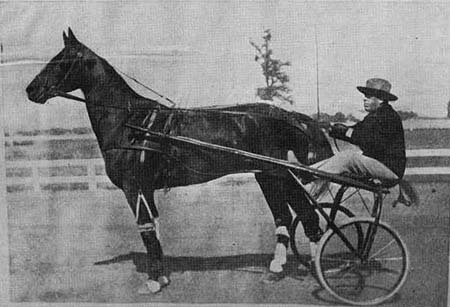 The "Grand Old Man of the Turf," Pop Geers, with his extraordinary racer, Napoleon Direct, an ex-plow horse, was the first to drive a horse under a two-minute mile. In 1916, the pair set the record of 1:59 ¾ minutes.